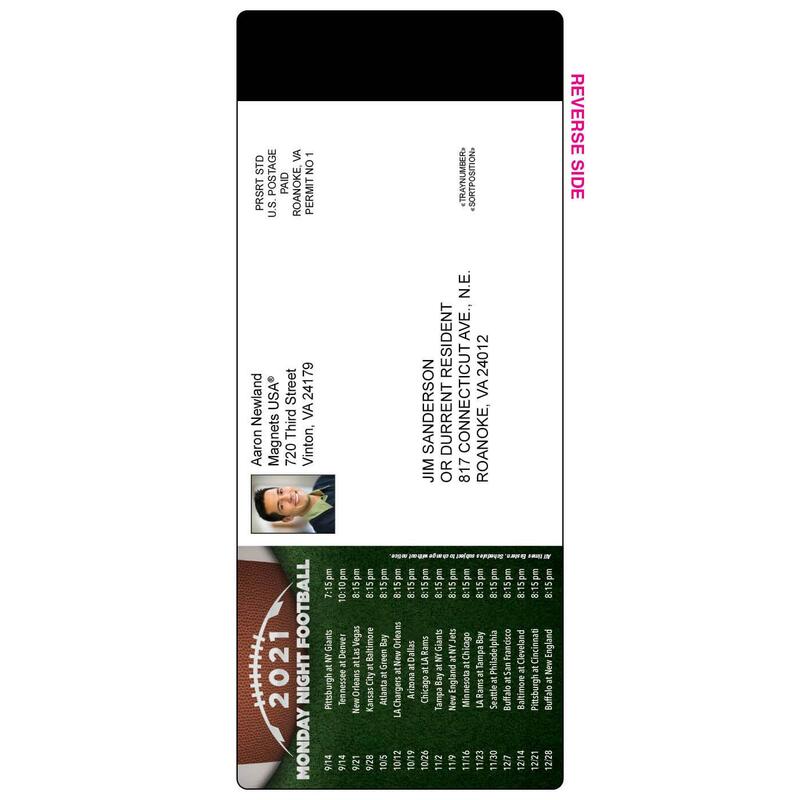 This unique backer allows you to mail your 1-Team Magnetic Football Schedule as is, with no fuss and no muss. Schedule colors change based on team selection. 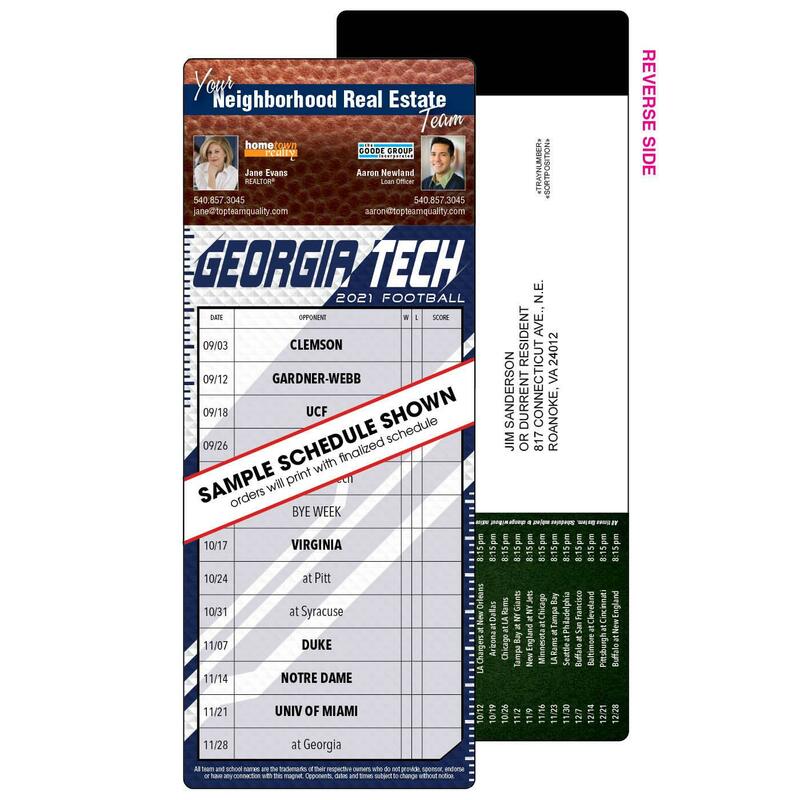 The reverse features a football design and the Monday Night Football schedule.